At our dental office in Austin, we were surprised to find that, according to a recent survey, the toothbrush was near the top of the list that detailed what invention Americans couldn’t live without, beating out cars, the microwave, and even computers. Since the toothbrush wasn’t even introduced to the United States until 1885, we started wondering what people did before they were bombarded with a multitude of colorful-handled brushes that take up a whole aisle of their local supermarket. In the spirit of Thanksgiving, we thought it’d be interesting to look at the dental health and oral health habits of the Pilgrims and Native Americans during a time long before a proper toothbrush was ever invented. The oral health of the Pilgrims was not ideal. Since they didn’t have proper toothbrushes, or even a real toothpaste to clean their teeth, they had to resort to whatever they had that would work. This included using hog hair tied to animal bones or twigs as a toothbrush, and herbs, leaves, and salt instead of toothpaste.The diet of the Pilgrims wasn’t all that tooth-friendly either. It mainly consisted of dried meat and fruits, beans, and a lot of hardtack — a biscuit that’s made of flour, water, and salt — so the Pilgrims’ diets were less than ideal. The Native Americans had a different, healthier diet, similar to what your dentist in Austin would recommend today. Since then, there have been many improvements in dental technology, and not just the invention of the toothbrush. Research has led to discoveries between oral and whole-body health, which is one reason we stress the importance of preventive care with proper brushing and flossing and regular visits to our Austin dental office. Technological advancements allow us to recommend better, stronger, and healthier treatment options. In all, modern dentistry gives us much to be thankful for. 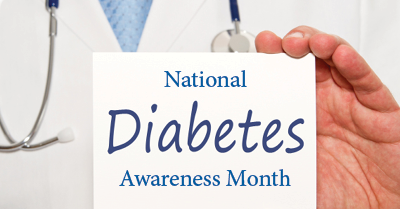 Every November at our dental office in Austin, we like to acknowledge American Diabetes Month which is dedicated to raising awareness to the disease the affects nearly 30 million Americans. Diabetes destabilizes blood sugar and may create a lot of problems throughout your body including issues with your eyes, nerves, kidneys, and heart. Additionally, your oral health may also be at risk, making it very important to see your dentist regularly if you’re diabetic. Diabetics are more sensitive to bacteria, both in the body and in the mouth, than people without diabetes. Some diabetics have a reduced ability to fight off bacteria. This is particularly concerning for your dentist in Austin since the mouth is already at risk for dangerous bacteria that could lead to serious oral health and whole-body problems. One of the main oral health concerns associated with diabetes is gum disease. Gum disease can not only affect the health of your mouth, but if left untreated, could lead to serious problems throughout your body. 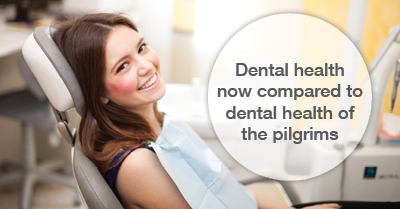 In fact, gum disease has been linked to heart disease, stroke, and heart attack. When a diabetic’s blood sugar is not controlled, glucose levels in the saliva can surge. This provides an environment where bacteria can thrive and the chance for problems increases. Gingivitis, the less severe form of gum disease, can be treated fairly easily if it’s caught early. This makes keeping appointments at our Austin dental office extremely important, especially if you’re diabetic and at a decreased ability to fight off infection and bacteria. If gum disease is not caught early, it could progress to a more serious form and could result in some pretty scary stuff. Periodontitis occurs when gum disease is not treated and the gums actually begin to pull away from your teeth. With periodontitis, pockets between the teeth and gums provide a nice little home for bacteria thrive and infection to develop. This infection will begin to erode away the bone that holds teeth in place, resulting in loose teeth, shifting teeth, and can even cause teeth to fall out or need pulling. Since those battling diabetes are at increased risk for serious oral health problems, it’s very important that they follow a strict, at-home preventive routine with daily flossing and brushing twice a day. Additionally, keeping your blood sugar within the normal range is good for both your body and your mouth.